Waste Prevention & Minimisation: UK - New waste prevention loan fund launched! UK - New waste prevention loan fund launched! Waste and Resources Action Programme has launched the new Waste Prevention Loan Fund (WPLF) which aims to reduce waste at source by supporting organisations to introduce business models and processes which make more efficient use of material resources. Examples include product reuse, repair and upgrading services (eg through leasing), and materials recovery and reuse by the manufacturer. The WPLF has £1 million pounds to support businesses, social enterprises and local authorities over the next four years. 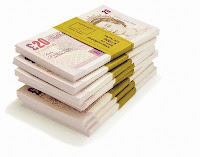 The maximum investment will be £100,000 and the minimum will be £20,000. The £1m funding will be distributed in phases. In the first phase, a percentage of the funding will be made available as loans to assist with cash-flow for a business (retailer or product supplier) which is switching from generating immediate income through product sales to generating income from service delivery. Applicants will need to demonstrate new approaches which offer substantial resource savings and can be scaled-up and replicated to have significant benefit at the national level. The loan fund is designed to help introduce solutions where commercial funding is otherwise not available. The WPLF will have multiple phases for applicants. The first, open now, is for businesses and focusing on resource-efficient business models (REBMs) particularly for electrical and electronic products, clothing and furniture. Further phases, which will be announced later in the! year, will support wider waste prevention and reuse activities in selected product categories. These will include product recovery for reuse in a closed-loop economy. These phases will be open to a wider range of applicants.Complementing the WPLF, WRAP is separately inviting tenders from businesses seeking help with planning and monitoring REBMs.